This is YOUR spiritual life coaching show, where you become part of the learning. I take on topics that threaten our health, happiness, and life fulfillment. I share with listeners my most sought-after coaching tools and techniques for deeply partnering our life with God, triumphing over life challenges, as well as finding and living out our God-given life purpose. In segment one of this episode, we take a deep look at what you can do when your workplace is ‘killing you’. 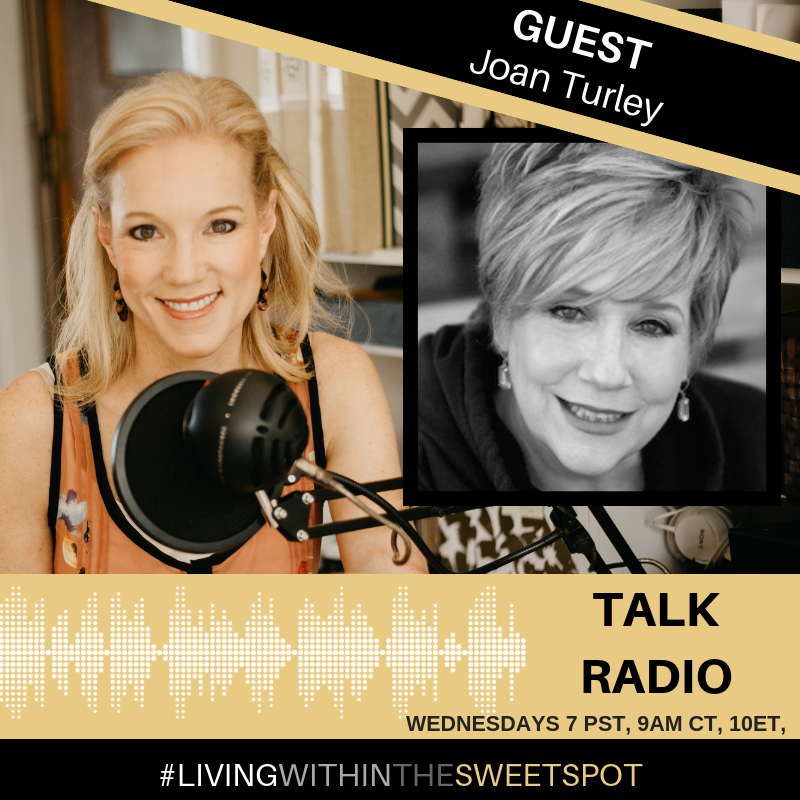 In segment two I bring in Joan Turley, Author of Sacred Work in Secular Places. She encourages and shares with the listeners, ways to find joy in their workplace. It is Joan’s passion to help businesses and individuals turn job hours into joy hours. In segment three we take call-ins for live life coaching on any area that has you stuck. Tune in each Wednesday at 7 am Pacific, 9 am central, 10 am eastern. Please join us and never hesitate to dial in yourself during the last segment of the show, dictated to you!